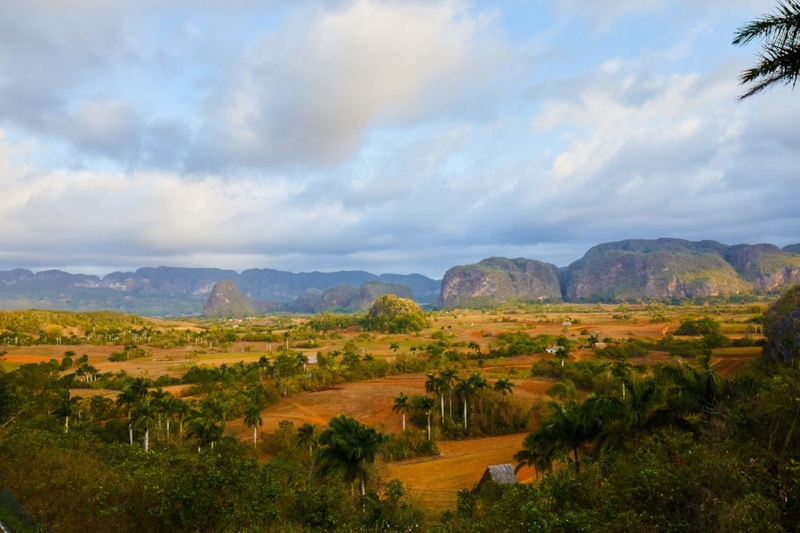 Discover the incredible and welcoming island of Cuba. Enjoy four-star accommodation and transport, with a personalized custom itinerary and unique cultural activities. Go behind the tourist facade and experience the warmth and energy of Cuba. Dance salsa and sip some of the world’s best mojitos. Discover Cuban art and craftsmanship, and witness the island’s many architectural delights. Let go, disconnect, and dive into the island way of life. You design and control your experience. We handle the rest. If you are seeking an authentic and culturally rich travel experience, CUBA CANDELA is your answer. Group Size: Private. Yours only. Tour Cuba’s tobacco steeped countryside charm by local transport: an oxcart! Enjoy the comfort of our private four-star accommodations. 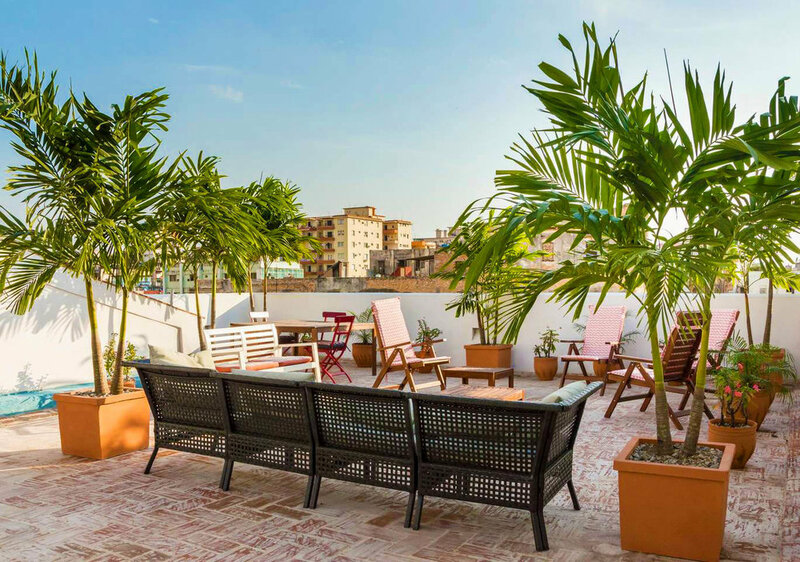 Stay in your very own private home or charming guesthouse, start the day with delicious local breakfast favorites and experience the warmth of genuine Cuban hospitality along with the quality service you expect from CUBA CANDELA. 1. What are the Mariposa accommodations like? Our four-star properties are vetted and curated to meet our specifications and service requirements with consideration given to aesthetics, comfort and location. These could be private homes, charming guesthouses or high-rise apartments that are safe and secure with air conditioning in the bedrooms and hot water in the showers. Our four-star properties are a notch above the AirBNB “casa”. 2. Can I further customize my Mariposa package to include more services or activities? Our itineraries and services are fully customizable to suit your needs and interests. If you wish to add options that do not come standard with the Mariposa, such as Tropicana tickets or the Cuban travel visa, please inquire about our a-la-carte add-ons. 3. What type of transportation do you provide? We provide transportation via private car for a minimum of twelve hours daily (extended service optional) and include all airport and activity transfers. Your private car will be an air-conditioned sedan or air-conditioned van, depending on your group size and personal preference. Many of our drivers are highly educated English speakers, and some even hold advanced university degrees. 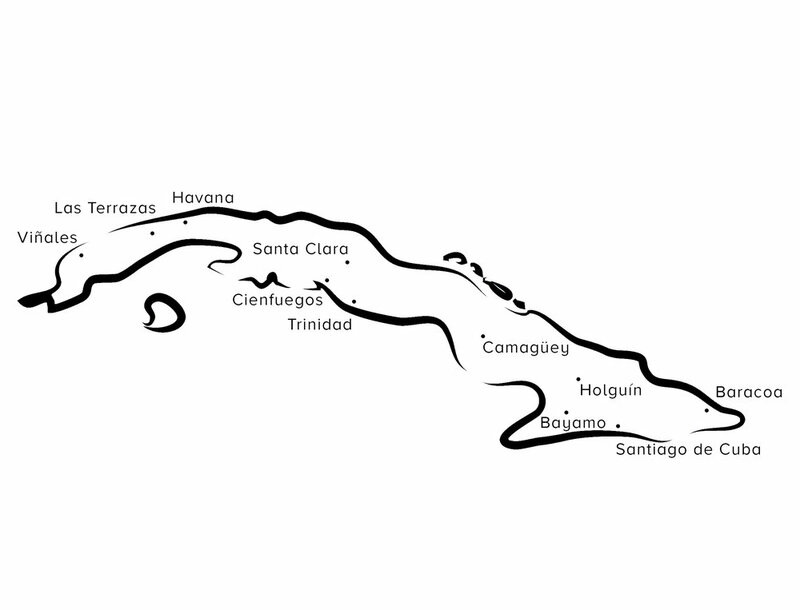 Our travelers often state that conversations with their drivers were some of the most meaningful throughout their journey in Cuba. 4. How do I book my flight? You have the flexibility to book your own flight on your preferred airline at any time you wish. We will automatically track flight delays and be waiting to greet you upon arrival. United, American, Delta and JetBlue all fly directly to Havana and flights can be booked easily online. 5. Are local hosts with us at all times? Our hosts are more like a local friend showing you the insider's local spots and less like a tour guide. Your host will be at your service for the entire trip, but you will have free time to be on your own as well.